We’d love your help. 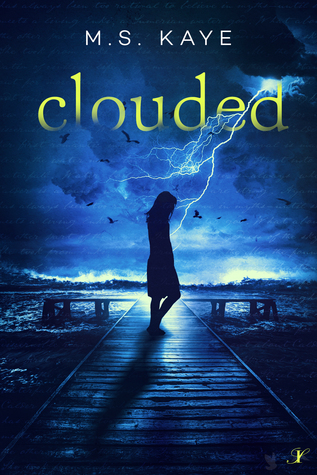 Let us know what’s wrong with this preview of Clouded by M.S. Kaye. Ayanna is a math nerd, logical and rational, even cold, but Calder makes her feel things she never had before. Somehow, she’s able to accept it when she discovers he’s a reincarnated Sumerian water god. Will she be able to accept the full truth, that the story of Enki and Inanna has been reborn in a moder A Sumerian water and sky god myth collides with a modern high school. To ask other readers questions about Clouded, please sign up. In Clouded, MS Kaye melds an Ancient Sumerian myth with the American culture of present day high school. Ayanna is a high school senior with a crush on the school swim champion, Calder. Calder is a young man who knows who he is, what he wants and he always gets it! When they get together, it’s like air and water ignite, and sparks fly! From the moment I started this book, I had difficulty putting it down. The author takes you right into the world she’s built, and you feel a part of the story. Additionally, I feel she successfully and responsibly addressed young adult romance. Truly an epic novel. Told in a duel point-of-view perspective made the story move effortlessly and added unique perspectives to the tale. I really enjoyed this book. Great suspense along with an original plot. Highly recommend!